There’s nothing like taking the first big bite out of a piece of lemon meringue pie, especially if it’s just come out of the oven and is tasty and delicious. 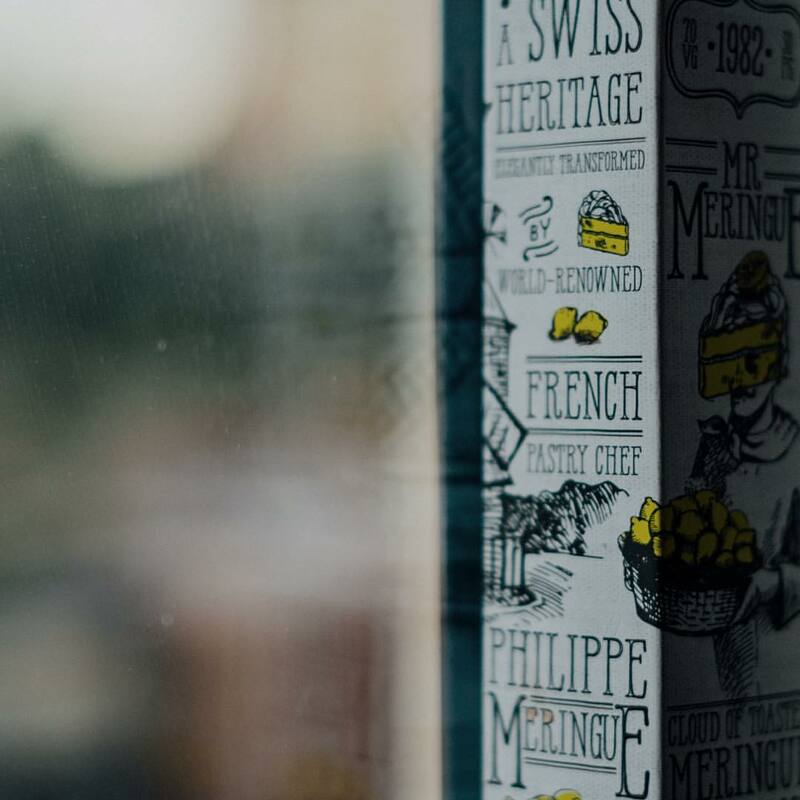 The toasted meringue taste paired with the sweet taste of the tart lemon is almost too much for the senses to take. And yet, it’s impossible to put down your fork once you’ve started eating a lemon meringue pie. 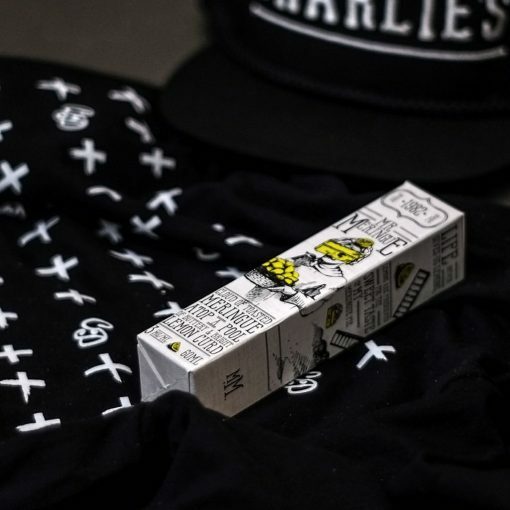 All of the flavors tucked away inside of it explode in your mouth and deliver a sensory overload thanks to the buttery flavor of the lemon meringue e liquid. It’s so good. Now imagine experiencing that taste whenever you want thanks to the latest lemon-flavored e-juice. There are many different lemon e-juices out there, but very few of them hit the spot quite like the Mr. Meringue vape juice by Mr. Meringue. When you inhale the vapor from the e-juice, you will detect all the not-so-subtle notes of a flaky lemon meringue pie. And when you exhale? Well, that’s when you’ll be inundated with the lemon and cream flavors that have been injected into the e-juice. There is so much going in inside of this e-juice, but it will quickly become your favorite lemon e-juice to use. 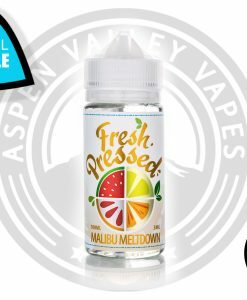 Whether you want to enjoy this e-juice after you’ve had a big meal and need something to satisfy your sweet tooth or you simply enjoy lemon meringue a lot but don’t want the calories that come along with it, you will definitely enjoy the experience that comes along with using this e-juice. 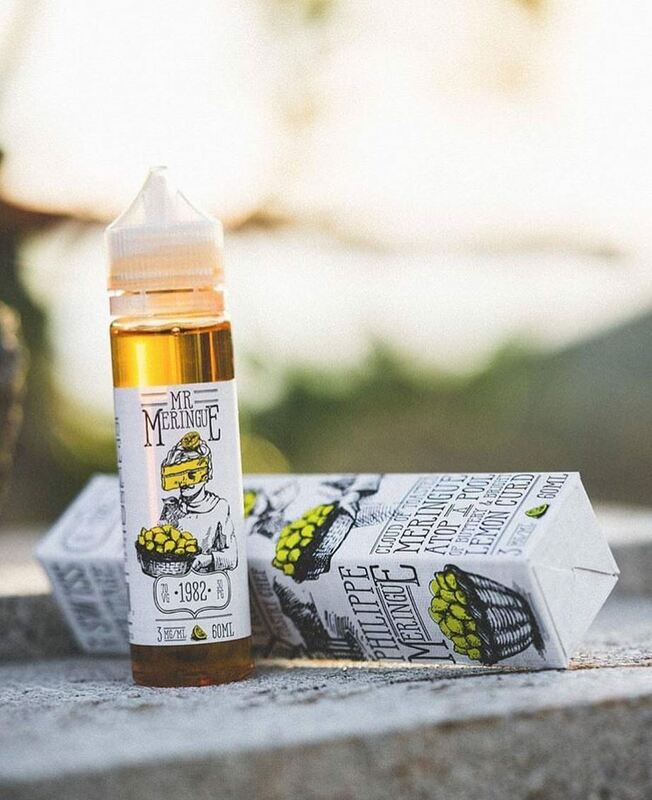 It is one of the most delicious lemon e-juices on the market and will give you your fair share of sweetness whenever you desire it most and don’t forget to check out Ms. Merginue his equally good counterpart! Absolutely love this flavor! By far best lemon I’ve ever vaped! Will reorder for sure! Really good lemon meringue flavor. I will be ordering more soon! I love lemon flavored vapes and this is one of the best. Pleasant touch of sweetness from the meringue flavor. Highly recommended. This is my new favorite flavor. The lemon is nice with no bitterness and the meringue is sweet. Very good flavor. Creamy with just a hint of lemon. Nice mild flavor. Would order again, but only if it is the daily deal. This stuff pretty amazing and I’m currently on my second bottle. Great recommendation! Has quickly become my ADV. I love that the lemon isn’t as sweet as others I have tried but is perfectly balanced by the light vanilla. Neither to tart nor to sweet. Have ordered 4 bottles already. Must try! What a very unique flavored eliquid! I was a little uncertain on the first couple draws but then the meringue and the subtle lemon hit like a ton of bricks. The flavor profile on this juice is so incredibly spot on and smooth. 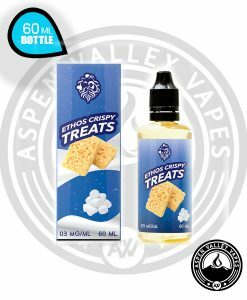 If you are a fan of lemon meringue pie you won’t even want to hesitate on picking up a bottle of Mr. Meringue from Aspen Valley. Great vaping experience and was just as good as recommended. This stuff is incredible!! I bought one and after trying it I instantly ordered a second one. Definitely one of my favorites! Funny that… I had actually ordered Mr. Merangue but unfortunately Aspen Valley was out. I didn’t find out until I had placed the order and I received an email from their awesome customer service offering me anything else I wanted?! I thought, cool! I can try the Mokuatsu Cuties flavor I had seen a while back. 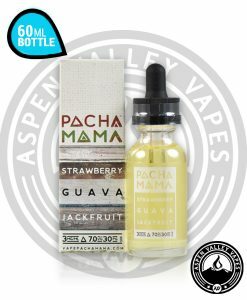 Not only did Aspen Valley send me the Cuties but 90 ml’s of it!! So, needless to say, I will be ordering from Aspen Valley in the future! Maybe I’ll get to try the Mr. Merengue next time? Love Mr Merinque by itself or combined with Purple Wedding Cake! Smooth, sweet and light. Had a great flavor, a bit sweeter then I was expecting. Lemonhead candies on the inhale with an added meringue flavor on the exhale. Best lemon flavor I have tried and no harshness. Fast shipping as well. A very good flavor, you can actually taste a buttery flavor mixed with a light lemon flavor on the exhale. Very well balance flavor, not an all day vape for me but is a nice change when I want something different. Good flavor, light hit of lemon. A must try for desert lover. Will order again, if available to be combine with sample box!!! Wow! Amazing taste and flavour. Definitely one for the must have column. Amazing! This is a really good juice. Before this, I have never found a juice such as this one I liked. Just the right sweetness, just the right flavor between all the flavors. Highly recommend! Mr. Meringue is a wonderful sweet lemon with a aort of baked meringue. I havw been looking for a fresh, not too tart lemon vape anf this was just wonderful. 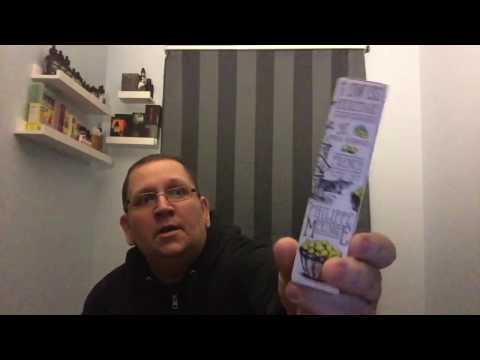 It is soft, clean lemon flavor on the inhale with a great custard on the exhale! Two thumbs up!!! Second time ordering. So good. Really tastes like lemon meringue pie. Idk how they got the lemon flavor down without the harsh aftertaste like some other lemon flavors have. And the meringue flavor is so good. I love this. I wish it came in a bigger bottle. Amazing taste, just like lemon meringue. I love this taste! Thanks Aspen Valley Vales for another great flavor. I LOVE this juice. The description they give you sums it up perfectly .. Try it, you will love it. I am using the Crown 2-se1 tank. Pure flavor and great dense clouds. Authentic lemon meringue pie flavor. Great balanced lemon flavor, not too sweet or too tart. You can even taste the pie crust. The smell is so good, like fresh lemons. Definitely my new adv. I’ve bought 2 more bottles since the first bottle lasted less than a week! Loved it! I would 100% get this again. Okay, I’ve tried a lot of different juices. This is the best I have vaped so far, smooth and beautiful flavors. Best $20 I’ve spent on a juice yet. Vapes beautiful on Alien mod 220 watt, with tfv12 Prince tank! One of both my and my boyfriends faves. Thanks for the suggestion Aspen !!! Good flavor! Comes with a lot to have so it last awhile. Overall great purchase, would buy again. Kind of something different but defiantly should give it a try! Such a great flavor that has a nice smooth drag. It’s really well balanced and I definitely recommend this product.